Students mingle with one another before the welcome ceremony, finding old friends and establishing new relationships. Photo by Johnny Ho. 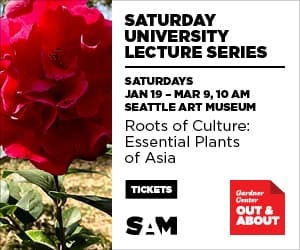 On Saturday, November 17, 2018, the Southeast Asian American Education Coalition (SEAeD) and its partners, OCA Greater Seattle and Seattle Department of Neighborhoods, hosted the 2018 Rising SEAs conference at the University of Washington (UW). 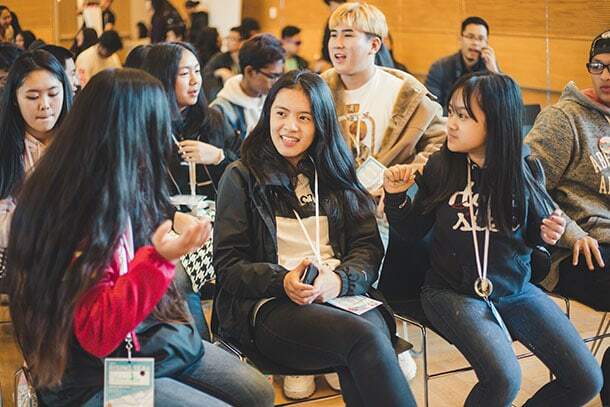 This conference gathered underrepresented Southeast Asian (SEA) students in grades 8 through 12 from across Washington state to equip them with knowledge of culture and identity necessary for empowerment and pursuit of higher education. 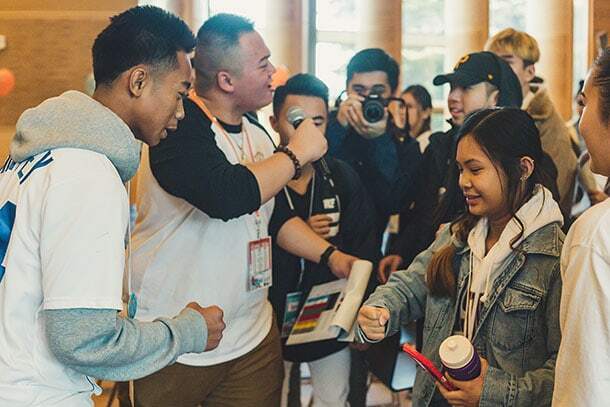 More than 140 students were in attendance, representing a wide variety of ethnic backgrounds including Cham, Mien, Karen, Vietnamese, Lao, Burmese, Khmer and Hmong, coming from as near as Seattle to as far as the Tri-Cities and Vancouver, WA. Throughout the day, students had the opportunity to learn about their history, which is often excluded from K-12 curriculum and their homes because of the trauma from war and violence. 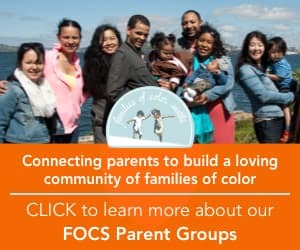 They also learned about systematic oppression and how this can manifest as the school-to-prison-to-deportation pipeline, and the need to dismantle the Asian model minority to challenge barriers of underrepresentation. 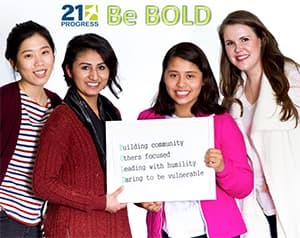 Students harnessed the power of self-awareness and truth to share their stories through activities that encouraged them to think about what it means to come from a Southeast Asian refugee background. They found themselves relating to one another’s struggles as they connected their personal lives to the present reality the workshops revealed. 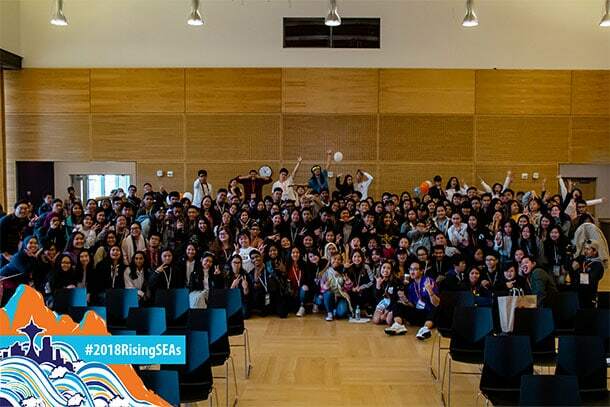 2018 Rising SEAs hosted over 140 students of various Southeast Asian backgrounds from all across Washington in a day of empowerment, activism, inspiring a journey to higher education, and reclamation of identity. Photo by Johnny Ho. 2018 Rising SEAs was a true show of solidarity – an event put on by the community, for the community – that hit home for many individuals. 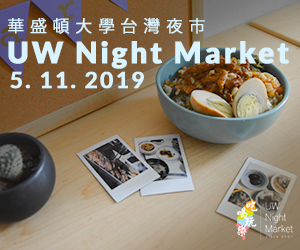 This is the first time the event has occurred since 2014, when UW discontinued funding for it. The Southeast Asian student community noticed Rising SEAs was no longer held, but other recruitment events such as Esperanza en Educación for the Latinx community, and Young, Black and Gifted for the Black community were, so they took the initiative to hold Rising SEAs themselves. “I realized I was working at these conferences as a student ambassador for all these underrepresented groups except us, and thought, ‘wait a second, something is wrong here,’” said Dylan Tran, a UW student and lead organizer of 2018 Rising SEAs. The lack of institutional support posed several challenges, including securing funding. “We applied for so many grants from the city, corporations, and other major giving organizations, but [the community] came through with the money. 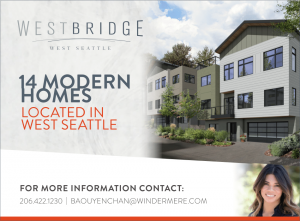 It was all funded by individuals and community-based organizations that work with SEA communities or are SEA themselves,” said May Saetern, 2018 Rising SEAs outreach lead. 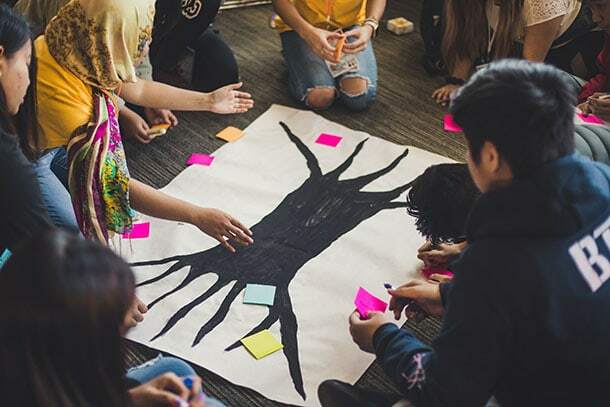 Students in the Southeast Asian Activism workshop engage in an activity called “Rooted & Rising,” which encourages them to understand the challenges facing their communities, identify the resources or “assets” available, and develop solutions in order to achieve the hopes they have for their communities. Photo by Johnny Ho. The support for this event extended as far as the offices in Olympia, where newly elected Sen. Joe Nguyen, Rep. Mia Gregerson, Rep. Cindy Ryu, and Sen. Bob Hasegawa attended as panelists to talk to students about running for office as people of color. “Rising SEAs means visibility and a celebration of Southeast Asian cultures and peoples. It’s giving a platform for Southeast Asians to say that we will not remain silent,” Saetern asserts. A fierce competition of RPS, or rock paper scissors train, breaks out in the HUB Lyceum and elevates the energy for the day following the welcoming ceremony. Photo by Johnny Ho. 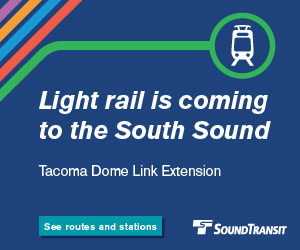 “My hope is that we’re able to sustain this impact and keep it going for years to come,” Tran says. “We’re giving students the knowledge and tools to become activists and leaders, to know how to fight for [our community] and have pride in themselves.” Moving forward, the Southeast Asian community hopes to regain institutional support for Rising SEAs from UW with a full-time Southeast Asian recruiter possessing the capacity to lead it, recognizing the need for this conference to be a reoccurring event. It’s an ongoing fight for visibility and space that the community acknowledges doesn’t end here.